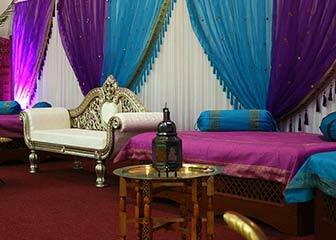 Imperial Weddings are one of the UK’s most sought after wedding décor and event theming companies, specialising in providing a unique portfolio of mandaps and other themed décor for weddings of all faiths and cultures. "I walked into my wedding hall at the Eastwinter Garden and was absolutely in awe of the stunning décor that Imperial Weddings had created, the reality far surpassed the vision we had discussed! A month later our guests are still expressing how much they enjoyed the ambience created by the Imperial team. Thank you for all your hard work and creative vision, the result was outstanding!" We take great pride in our creative vision and event décor abilities, delivering nothing less than bespoke visual eventscapes for our clients, whether it be for a wedding, themed event or corporate soirée. Our décor services are backed by true professionalism, structured project management approach and pleasing customer service, ensuring an experience that is hassle free, accountable and will delight you and your guests. We offer you unrivalled creative expertise, the ability to think outside of the box and create inimitable wedding décor and mandap concepts that will create a signature style for your wedding that will impress you and your guests. From prompt, polite and efficient communication at every stage of the event planning process to creative unique décor solutions for each client, you will find us a delight to deal with! Our experience in the wedding theming business shows through at every level of project management from assessing venue logistics to the finishing touches on the day of your event. This is crucial to the seamless and timely delivery of our services. 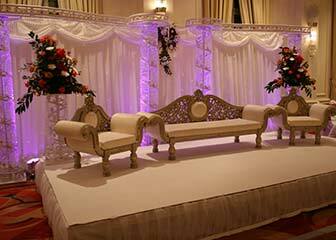 Our clients rest assured in the knowledge that they are dealing with experienced professionals who will take all the hard work and guess work out of the planning of their event décor. 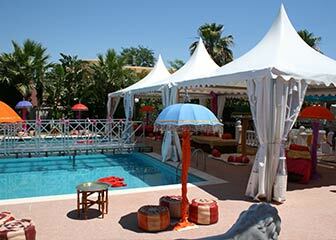 Exclusively designed wedding canopies for Hindu and Jewish weddings. 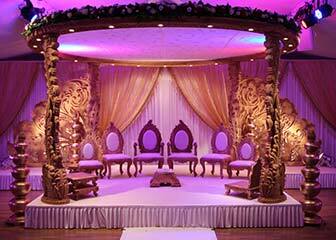 Lavishly themed stages to create a focal point for your celebration. 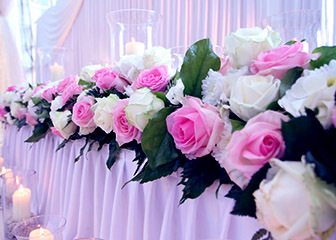 Stunning floral displays to decorate your special occasion. Vibrant themes, limited only by your imagination. 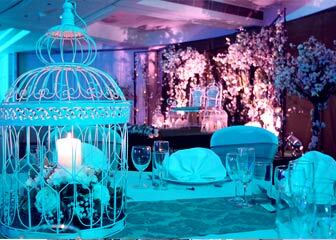 Draping, lighting and theming that will set a chic scene for your celebration. Beautiful décor for exotic desinations.